Ryan Dittmann read for a BA degree at Rhodes University in Grahamstown. He majored in Drama and English language and Linguistics. He graduated in 2007 and completed his honours degree at AFDA in Johannesburg. 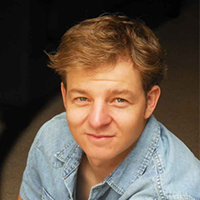 Ryan is a professional actor and performer appearing on the local theatre and TV scenes. In 2010 Ryan opened ZikkaZimba productions which provides curriculum-based workshops and shows to schools. He and his partner Jaques De Silva work closely at the Market Theatre Laboratory where their company ZikkaZimba Productions Supplies a scholarship for excellence. Check out their website www.zikkazimba.co.za for more.